Carpets of Reinkemeier-Rietberg are available in many qualities, colors, and shapes – from Swarovski designer rug right through to cozy shag. With years of experience as a carpet manufacturer and carpet wholesale, we have a keen sense of the present and coming carpet trends. Colors, shapes and materials of our carpets are based on the latest findings from fashion and lifestyle. For our carpets we are constantly traveling the world to share the latest developments out of fashion, to incorporate furniture design trends and other trend products in the creation of unique carpets. A shaggy carpet is a cuddly highlight for any room. Shaggy Carpets can be considered as self-contained furnishings that give each room a special touch. Designer carpets create a fresh breeze to any living space. 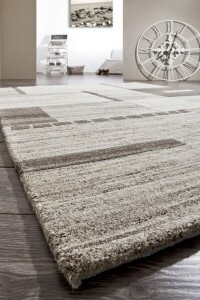 The dense pile of a designer carpet is formed with a hand-made tufting out of a refined fiber. The special weave of this premium resource leads to an attractive appearance and vitality. Easy care, durable and stain resistant. These carpets illustrate the traditional hand-made tufting from Nepal. The pure new wool satisfys the highest standards of quality. 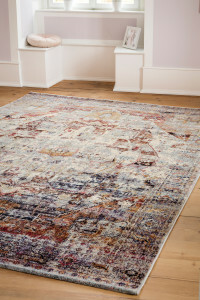 The classic pattern and restrained colors of a hand-knotted Indo Nepal carpet fit perfectly with any decorating style. 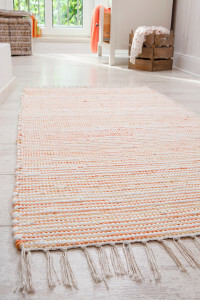 Hand-knotted Gabbeh carpets of Argentina twisted wool. Due to the material properties very tough and durable. 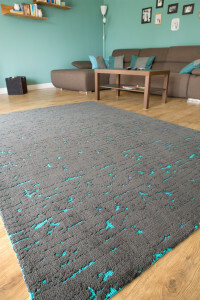 This special carpet is the trendsetter for your apartment, exclusive designs in modern colors. Hand-woven rugs are made from 100% cotton. These rugs can be combined individually. It is advantageous to use both sides. 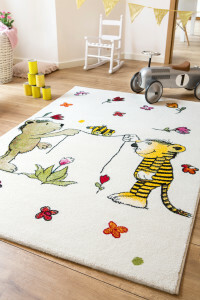 Carpets for kids in current colors are a decorative hightlight for each nursery. They are ideal as a soft play surface. The new carpet program provides various options for customized sizes in different qualities, attractive colors, materials and structures. Whether in the living or sleeping room – sheepskins and cowhides give any cool interior style a natural and cozy comfort.